A concept drawing of the new raised grass terrace for The Family Dog. 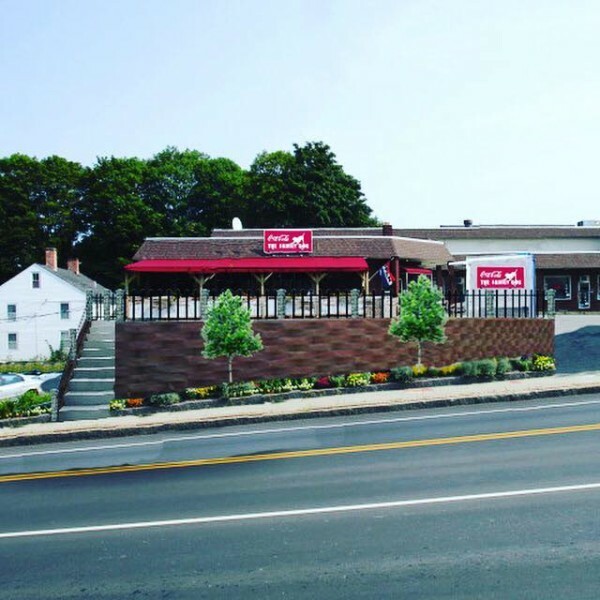 ORONO, Maine — The Family Dog restaurant on Mill Street is adding a large grass terrace between its current deck and the main road that will add a performance area, seating and an outside fireplace. His plans for the terrace went before town planners on Wednesday, some of whom asked about the loss of parking spots and the change in the traffic pattern. The Family Dog opened at 6 Mill St. in November 2012, offering gourmet hot dogs and burgers, and Cutler hopes to have the expansion started this fall and complete by early spring. The retaining wall will mean “a different pedestrian path, that’s all,” for those traveling between Oak and Mill streets, he said. Carpenter Associates of Old Town prepared the site plan for The Family Dog under A&A Orono, Inc.
Cutler, who said he wants to host family movie nights and live music on his new outside terrace, is adding food and drinks to the outside area but customers will also be able to order items off the regular Family Dog menu. The new space also allows for one of the company’s two food trucks, the Stray Dog or Grammy’s Grilled Cheeses and Melts, to be parked and operated at the location. The outside terrace will also have a fireplace and makings for s’mores will be added to the menu, Cutler said.